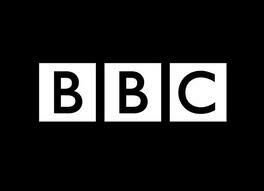 BBC – The report accuses the govt of making reconciliation more difficult by manipulating elections and silencing civil society. Please comment. The last several elections have been largely seen as fair, with the results reflecting the will of the people. The TNA did substantially better than the government in the North. It did not of course do as well as it did when the LTTE controlled the area, and indeed the candidats’ lists, forcing those it did not like who did well to resign, and indeed then killing them (see the EU monitors’ report on the 2004 election). In the East the government did better, for which there are several reasons which no one contests, the involvement of former LTTE supporters who abandoned terrorism, the massive infrastructural development and increased economic prosperity. Some of these factors are now in operation in the North, though on a lesser scale. Civil society is certainly not silent, as you should know only too well as a BBC reporter on the ground, reading the newspapers daily, reading civil society pronouncements and registering the large amounts of funding they receive. BBC – The report says the LLRC is, clearly, “ultimately powerless” and cannot produce accountability and reconciliation despite being promoted as a mechanism for those two things. It says an “independent, inclusive truth commission” instead. Please comment. Keenan’s arrogance in assuming he knows what Sri Lankans know is exceeded only by his racism. He grants that Sri Lankans did appear before the LLRC but fails to mention that it was only foreigners like him who refused to do so, having pre-judged the situation. He seems to equate international with independent, forgetting that the ostensibly independent UN panel had equated Sri Lanka with an apartheid regime, indicating no idea of what apartheid was (a bit like Keenan on LTTE brutality). He ignores the fact that the LLRC, as its name makes clear, has a broader mandatethan the Keenans and Darusmans of this world want with their emphasis on Old Testament retribution. A government that represents the people must decide what the country needs, not individuals who claim expertise on Sri Lanka chosen for lucratve positions without transparency. The interim report of the LLRC made some very important recommendations, which if fulfilled thoroughly will contribute to reconciliation in a manner that the Keenan agenda cannot do. All but about 10,000 of the near 300,000 rescued from the LTTE (not interned as I pointed out at the time, given the actual meaning of internment as used for instance of the Japanese taken from their homes and confined) have returned home, with basic social services such as most countries do not have (free education etc) in place from the start. The figure of 180,000 (many of whom are with host families rather than camps) includes those displaced for a decade and more (including the Muslims the LTTE had ethnically cleansed) about whom the so called international community did not care (I had to berate UNHCR about this, to be told apologetically that they had tried but failed).